Publicado el 7 agosto 2018 27 agosto 2018 de Octavio Islas. Fundador de la revista científica Razón y Palabra. Wake up, check social media. Shower, check social media. Get dressed, check social media. Eat breakfast, check social media… And on it goes. Sound familiar? It’s become so habitual to be constantly scrolling through our apps, it’s easy to lose track of just how much of the day we’re spending on them. That’s why Facebook and Instagram have launched a set of tools to help us manage how much time we’re spending on the platforms. With features such as an activity dashboard, a daily usage reminder and an option to mute notifications, the social media giants want us to be more mindful about the time we spend online. It’s been proven that social media can be as addictive as gambling, so could a ‘consume responsibly’ message – similar to those from ‘Be Gamble Aware’ and ‘Drink Aware’ – soon become necessary too? On the quest to find love in the Age of Swiping, it can feel like your phone is nothing more than a collection of dating apps. 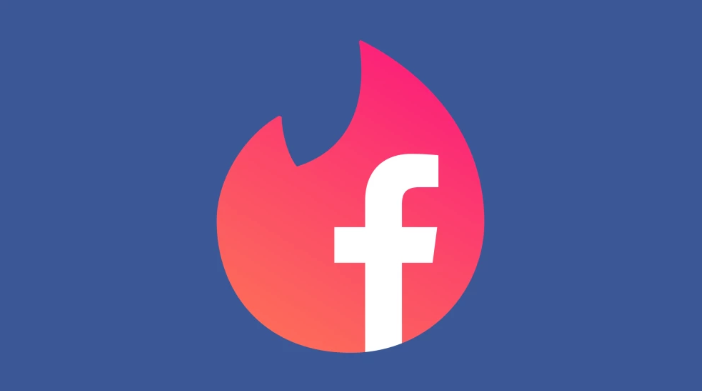 Following the recent announcement that Facebook plans to move into the world of online dating, the platform has confirmed that its upcoming Facebook Dating feature will sit within the main app, rather than as a standalone product. The feature will allow users to choose from a range of gender/non-binary options and sexual orientations for their profiles, as well as giving the option to choose whether or not they want to be visible to friends of Friends. Facebook Dating users will also be able to connect their profiles to other aspects of the platform, such as Groups and Events, in order to help them match with other users who have similar interests. It looks like the feature will encourage more meaningful relationships, rather than the ‘hook-up’ feeling of apps such as Tinder and Bumble. Bring on the Facebook weddings! It looks like wannabe-Whitneys and Winehouses will be able to seek Facebook fame soon enough, as the platform may be launching a virtual singing competition called ‘Talent Show’. The feature could become a rival for lip-sync platform Musical.ly, as Talent Show users will be able to pick a song from a preordained list, record themselves singing it, and submit the video for audiences to judge. The competition aspect of it could also see it edge in on YouTube’s position as a means for aspiring artists to be discovered. Representatives at Facebook are being somewhat tight-lipped on any specific details about Talent Show, but it all looks to be a part of the platform’s increasing focus on video content. It’s no secret that the gaming market is an extremely lucrative one, so it makes sense that marketers want to take full advantage of the advertising opportunities within it. Facebook is offering three advertising solutions to help publishers of games reach users who are likely to make in-app purchases. The first, developed by Rovio of the Angry Birds franchise, is a playable ad which will give users the chance to play a preview of the game before they purchase. The second is focused on optimising player retention, and will target lookalike audiences who are likely to play across certain genres. The third solution will allow advertisers to set a minimum return on ad spend (ROAS) bid in order to find users who are more likely to purchase in-game items. The focus of the solutions is not to push app installs but instead to encourage in-game item purchases in order to retain audiences. Facebook has announced that, as part of its “commitment to helping broadcasters reach new audiences, build their brands and deliver a great viewing experience for sports fans” on the platform; it will now broadcast free-to-air games from La Liga and Serie A in the UK and Ireland, after reaching an agreement with new European rights-holder, Eleven Sports. Fans will be able to stream one free-to-air European football game per week, kicking off with Cristiano Ronaldo’s Juventus debut on 18th August. If you’re one of those lucky people who has more than one friend you actually want to talk to, then this one’s for you: WhatsApp users can now make voice and video calls with up to four people at once. An ‘Add Participants’ button will appear at the top right of the caller screen, allowing users to make group calls. What’s more, all of the calls are end-to-end encrypted, so your conversations will be safe from prying eyes and ears and you can gossip in private. WhatsApp’s first revenue-generating enterprise feels surprisingly satisfying for us regular folk, as the messaging platform announced that its WhatsApp Business API will begin charging businesses who are slow to respond to customers. Companies will be able to reply for free for up to 24 hours, but beyond that they will be charged a fixed-rate by country per message sent. Although businesses will still only be able to send messages to customers who contact them first, the API will allow them to programmatically send shipping confirmations, appointment reminders, and event tickets. They’ll also be able to manually reply to queries using their own customer service tools. It’s a pretty savvy way to generate revenue, as both customers and businesses will likely get hooked to the service, and WhatsApp could eventually charge for all business responses. WhatsApp has also revealed plans to run ads in Status – its version of a Stories feature, currently used by 450 million users daily – so it seems that the platform is finally looking to help out Facebook and Instagram with some serious financial earnings. Snapchat has released a series of Lenses that respond to simple, English words, such as ‘hi’, ‘wow’, ‘love’, ‘yes’ and ‘no’. Different words will trigger certain filters and animations, for example, saying ‘Hi’ will launch an animation that surrounds you with chatty birds, while saying ‘Love’ will activate cheesy jazz music. Previously, Lenses would respond to prompted facial expressions such as ‘raise your eyebrows’ or ‘open your mouth’, and while Snapchat has featured Lenses with audio before, this is the first time they will actually recognise words. While the feature is relatively simple at present, it’s very likely to be developed further as Snapchat strives to stay ahead in the photo filter game. Sports fans will want to spend more time on Snapchat as the platform teams up with the NFL and NBC to bring more sports related content to Snap Stories. There’ll be a weekly summary of American football news and highlights from the NFL, while NBC will team up with the Premier League to bring a show recapping the week’s matches, internal drama, and team news to audiences in the US. Snapchat has been putting more time and money into sports programming in recent months, suggesting that the platform is making a conscious effort to corner that market. And, with the NFL reporting that 52 million people watched their Snapchat material, it could be a touchdown for Snap. Miss Jenner is continuing to expand her empire after being named one of America’s richest businesswomen last month, as she launches her own custom face filter for Instagram. Fans can swipe over their live camera to see what they look like in seven shades of the famous Kylie Cosmetics lip kit. 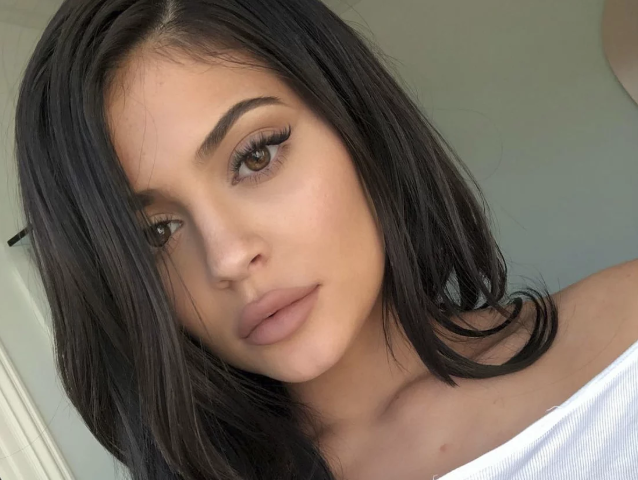 Jenner’s lipstick collection became an Instagram sensation when it launched in 2016 and solidified her position as Queen of the ‘Grammed as the collection sold out in less than 10 minutes and promptly appeared on the Feed of makeup enthusiasts everywhere. Jenner’s Instagram filter will also darken and define users’ lashes and softly blur and contour the face. Get ready for an onslaught of Kardashian/Jenner-worthy selfies filling up your Feed. Just remember it’s not real, so don’t feel bad! The post We Are Social’s Monday Mashup #409 appeared first on We Are Social.